Premium Performance! With its spectacular fire, the P42 delivers enough heat for your large living areas. Create a strong statement in your home. Design your P42 to suit your style - classic or contemporary. 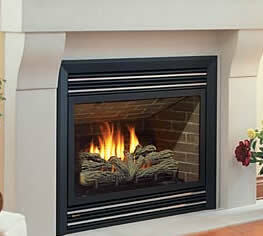 Don't forget to finish with a Panorama mantel. More heat, more fire, more romance!